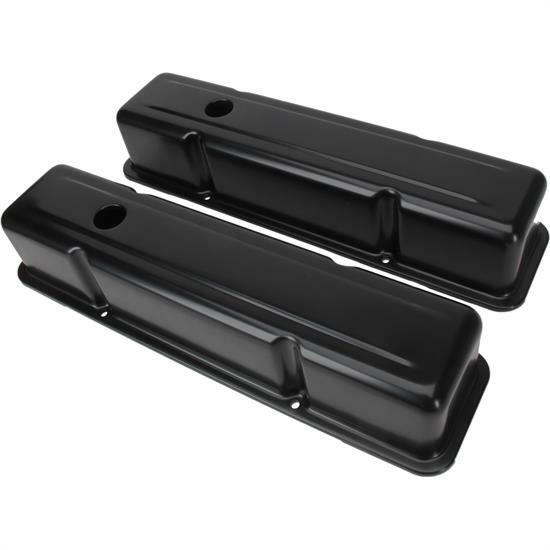 Chevy small block tall black steel valve covers fit 1958-86 Chevy 283-305-327-350 small block engines. They are baffled and tall style to clear high performance roller rockers. There is one hole in each cover.